Q: Are a majority of women deficient in protein? Marla Ahlgrimm: Yes, and it’s a widespread problem that can lead to a wide range of unfavorable effects. 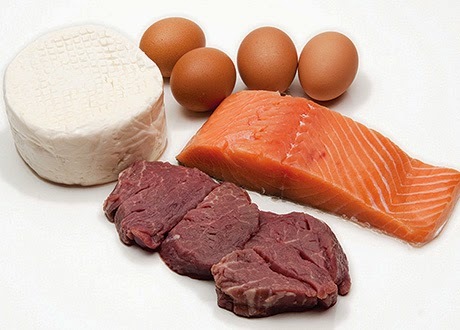 Because of reduced consumption of eggs and red meat, women may experience a deficiency. The avoidance of fat by reducing milk and cheese consumption – prime protein sources – has also exacerbated the situation. Q: How does protein function in a woman’s body? Marla Ahlgrimm: Proteins function as the building blocks for skin, cartilage, ligaments, tissues, blood, muscles, vitamins, hormones, enzymes, nails and bones. Proteins, along with carbohydrates and fat, are one of three nutrients to offer the body necessary calories. Q: What type of foods are protein-rich sources? Marla Ahlgrimm: A diverse array of foods in a regular diet can ensure the proper intake of protein. Look for poultry, lean meat, eggs, seeds, nuts, peas, dry beans, vegetables and low-fat dairy products that contain protein. Q: Which cuts of meat are recommended? Marla Ahlgrimm: It can be challenging to select the right cuts of meat and poultry for a nutritional plan. Lean cuts of beef include tenderloin, sirloin, chuck and round. Lean lamb or pork includes loin chops, tenderloin and leg. Q: Could you advise the reader on some vegetables that may be incorporated into a protein-rich diet? Marla Ahlgrimm: The best vegetables for protein consumption are sun-dried tomatoes, lima beans, portabella mushrooms and spinach. Spinach in particular features 7 grams of protein in just a half-cup serving. All of these foods include protein, as well as magnesium, zinc, iron, vitamin E, vitamin B6, riboflavin, thiamin and niacin. B vitamins serve a broad array of functions in the human body: helping build tissues, aiding blood cell development and managing the release of energy.